We all believe that the same tea, with different brewing method, may have different taste. 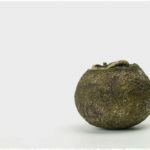 So, how to brew this little tea ball? Here we’d like to share a method for brewing Mandarin Orange Pu-erh Tea with a Gaiwan. Step 1. Open up the package and take out the Mandarin Orange Pu-erh Tea; Most of the Mandarin Orange Pu-erh Tea will have a layer of wrapping paper outside, which can not only preserve its fragrance, but also protect them from collisions during transportation. Step 2. Use a tea needle to poke four holes evenly around the tea ball, and better not to let the tea leaves leak out. Step 3. Put the Mandarin Orange Pu-erh Tea into Gaiwan, inject boiled water; There are two ways: After the tea is put into Gaiwan, pour the water in. So that the tea leaves are fully moistened and heated. Then pour out the tea liquid. 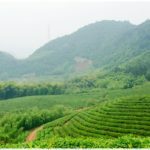 Water will be poured in the ripened Pu-erh tea, so that the tea liquid is red and the taste of Pu-erh will be mellower and richer. Water pours around the mandarin orange, so that the tea liquid is bright yellow with sweet taste. By this way, the taste of pu-erh tea is relatively weak, and the fragrance of mandarin orange is richer. Step 4. Pour the tea liquid out into a tea pitcher, and serve it to cups, enjoy the tea. Although this method sounds complicated, it helps the exudation of the flavor of tea. Meanwhile, it is also pleasant to see the tea liquid release out slowly through the cover of water vapor in the Gaiwan.